Sleep easy with bamboo luxury and waterproof protection. 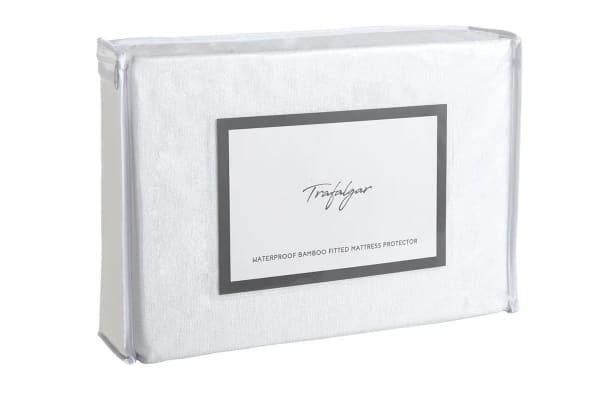 Enjoy smoother and more restful sleep all while protecting your mattress from damage thanks to the Trafalgar Waterproof Bamboo Fitted Mattress Protector. 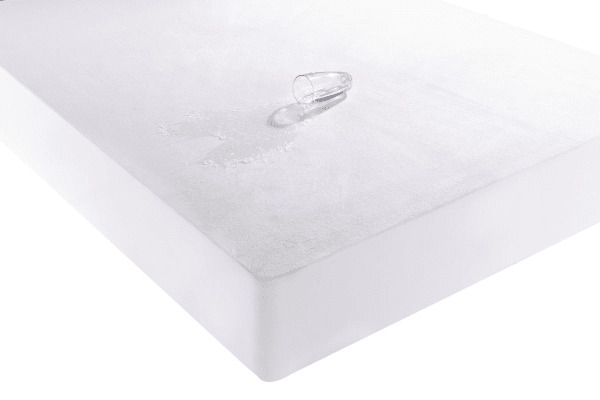 Feel the benefits of bamboo and waterproof protection thanks to the Trafalgar Waterproof Bamboo Fitted Mattress Protector, helping to protect your mattress from spills, leaks, dust and dirt by absorbing up to 4x more moisture than cotton. Sleep sounder knowing that your mattress health is in tact. Breathe easier with bamboo’s natural hypoallergenic and antibacterial properties, helping to keep allergies and asthma at bay by fighting against allergy-triggering dust mites and mattress-ruining mould. Cut down on linen laundry time thanks to bamboo’s antibacterial qualities, meaning you don’t have to clean your protector as often as traditional mattress covers. Let the bamboo do the work! 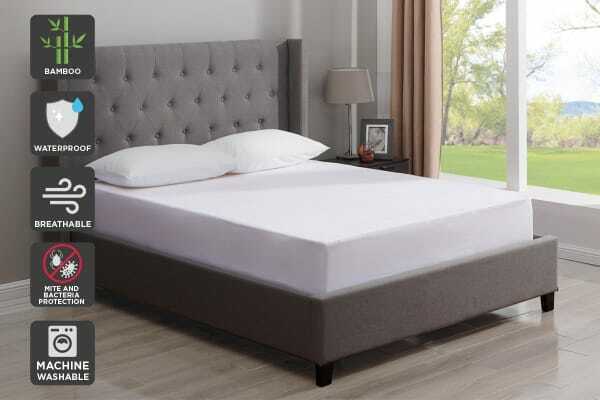 Sleep easier with the Trafalgar Waterproof Bamboo Fitted Mattress’ natural thermoregulating properties, keeping you warm in winter yet wicking away moisture from your body to help keep you cool, comfy and rested during the hot Aussie summer.